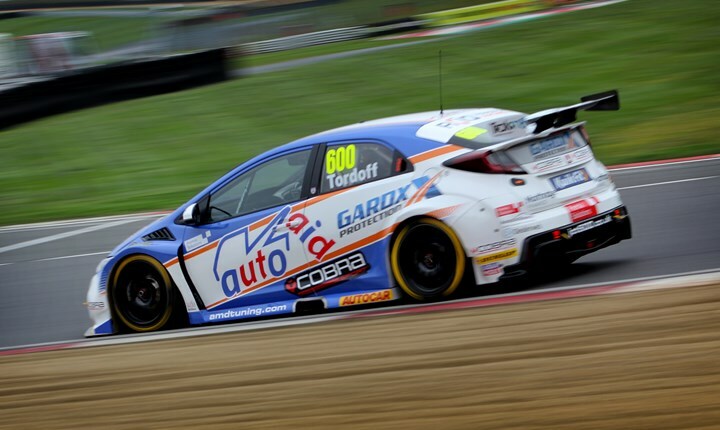 Sam Tordoff led the way in the Kwik Fit British Touring Car Championship's official pre-season test on the Brands Hatch Indy circuit today (27 March), guiding his Honda Civic Type R around the famous Kent venue in just under 48 seconds. Tordoff was quickest in each of the day's two sessions to top the test overall. Tom Chilton was second fastest, just a tenth of a second adrift for the local Team Shredded Wheat Racing with Gallagher outfit in his Ford Focus RS whilst Dan Cammish completed the top-three in his factory-backed Halfords Yuasa Racing machine. Andrew Jordan spearheaded the BMW 3 Series' return to the BTCC line-up with fourth place, from Tordoff's team-mate Rory Butcher in the second Cobra Sport AmD Civic. Last year's championship runner-up Tom Ingram was sixth in his first ever session as a factory-backed Toyota driver, just ahead of reigning champion Colin Turkington in his Team BMW 330i M Sport. The Kwik Fit British Touring Car Championship kicks off at Brands Hatch on 6-7 April.